Great idea, which no doubt a lot of us have been contemplating, nut you missed a golden opportunity to present a really informative and professional presentation…….it was sloppy…. DJI killin it once again. Great idea. That mini gimbal looks pretty good! Very good idea to test !!! The pocket has a great quality. Can you compare it to the Mavic Pro 1 too? I would suggest next time using a strip of soft foam between the Pocket and the drone to reduce the vibration (jello) of the pocket footage. Cool test. Thanks. Been looking for days for someone to do this. Was that in FPV mode? I am designing a frame that the Osmo will slide into. It will be a clean/dirty design to get rid of the jello. 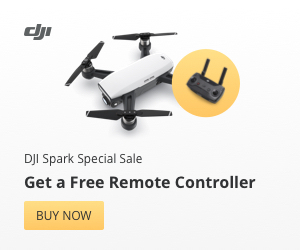 Wich buy Dji Mavic Air or Dji Mavic 2 zoom? THX. Can you do this dji spark? That beat at 1:08 tho! Hi Alex, where you are filming? Interesting test! The jello on the Pocket is to be expected as it is hard-strapped to the body of the drone, whereas the Mavic 2 camera gimbal is suspended on vibration plates which counteract jello. This is such a great idea, and crazy at the same time 😂 Cool review guys! I am super glueing the pocket to my Mavic Mk I. Simple upgrade. Ha ha ha!